Apply your creativity and imagination while developing research-based technical skills and create the next generation of aerospace designs. Every year, students from all across the globe come to Tempe to study aerospace engineering at the Ira A. Fulton Schools of Engineering. With award-winning faculty on-hand to advise and produce future engineers, the aerospace program takes cross-disciplinary research to new heights through imagination and technical aptitude. Our aerospace engineering programs prepare students for a variety of professional options. Concentrations in aeronautics, astronautics andautonomous vehicle systems (AVS) offer various avenues to see air and space travel in whole new ways. Creativity, imagination and research-based technical skills all combine to drive our students to an engaging and innovative development process. Students in our aeronautics focus learn tasks relevant to the design and analysis of aircraft, helicopters, missiles and other atmospheric vehicles. Students studying astronautics learn topics important to the engineering of rockets and spacecraft. Together the two programs give students a rigorous technical lens in solving real and timely engineering problems. The concentration in autonomous vehicle systems provides students with a general exposure to engineering of autonomous aircraft and greater depth in one area of specific importance to unmanned aerial vehicles (UAV). The depth areas, or “tracks”, are 1) guidance, navigation and control (GNC) and 2) communications. The senior capstone project consists of UAV design and development. ASU is among five university research teams that are funded by NASA’s Aeronautics University Leadership Initiative to explore improving aviation. 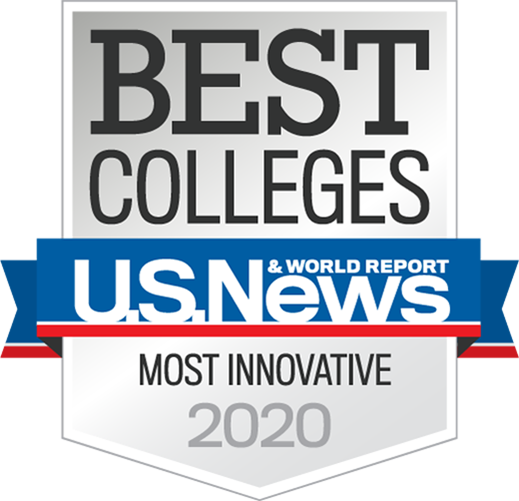 U.S. News and World Report ranked ASU #1 in Engineering Innovation. Extra-curricular aerospace-related activities are available to all students like the Sun Devil Satellite Lab, a team designing and building an earth-imaging satellite. Bachelor of Science in Engineering (BSE) with concentrations in aeronautics, astronautics, and autonomous vehicle systems (see concentration information below). Employment in the aerospace or other field in a position that capitalizes on the skills and abilities gained through the degree in aerospace engineering. Graduates will hold positions of increasingresponsibility and leadership within their organizations. Admission into, and possibly graduation from, a graduate degree program in aerospace engineering or other technical field. Admission into a professional degree program, such as law or business, in accordance with the specific interests and abilities of the graduate. Through volunteering, entrepreneurial endeavors, community service, their employment, etc., graduates of the aerospace engineering program will demonstrate commitment to the Sun Devil ideals of global engagement, social embeddedness, social transformation and sustainability. Students must choose one of three concentrations: aeronautics, astronautics or autonomous vehicle systems. Below are the major maps and technical electives for each concentration. A major map outlines a major’s official requirements, elective and required courses, and optimal course sequencing to help students stay on the right track to graduation. The design and construction of aircraft structures and power units within the Earth’s atmosphere. The science and tech behind space flight and the machines designed to exit or work entirely beyond the Earth’s atmosphere. Learn the ins and outs of design and development for unmanned vehicle systems. The Aerospace Engineering, BSE program at Arizona State University is accredited by the Computing Accreditation Commission of ABET, http://www.abet.org. Student enrollment and graduation data are available at engineering.asu.edu/enrollment.